At Formland Spring 1-4 February 2018 in MCH Messecenter Herning, visitors can look forward to a real mecca of inspiration with 400 enthusiastic exhibitors and a focus on sustainability. Sustainable materials, unprocessed products and recycling are becoming increasingly popular with designers, manufacturers and consumers. It's hip to be environmentally friendly, and clearly evident when Formland Spring 2018 opens its doors to the 68th edition of the interior design fair, where a number of exhibitors will be putting sustainable products on their shelves. One of the exhibitors at Formland with a major focus on sustainability is Ordinary Things, run by Karen Povlsen. According to Karen, the company only sells products that are 100% natural and made with the environment in mind. 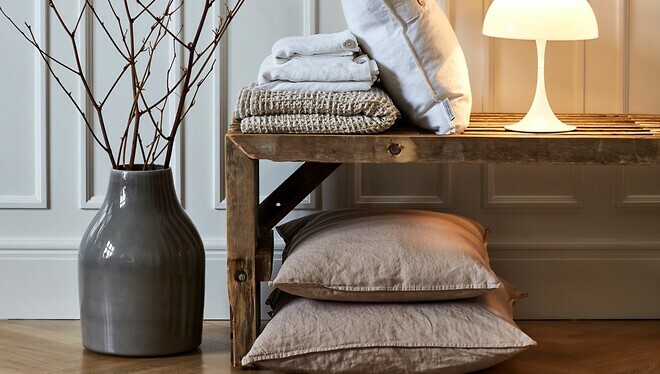 "Our vision is to make luxurious products from organic linen of the highest quality. Buy less and buy better - products will last for generations and only get better with time. That's our definition of sustainability. We're looking forward to exhibiting at Formland and to inspiring visitors with our product range," says Povlsen. Trend zone 'Life on Sundays', created by the experienced team from STUDIE FLYHYLSTED, has also put sustainability at the fore. The area will be crammed with analogue-related products and sustainable materials to inspire visitors while they take a breather. "The trend we're seeing is that consumers are demanding more and more sustainability, more natural and unprocessed products and greater authenticity. There is an increased focus on how we use materials, and how materials can be recycled and reused. 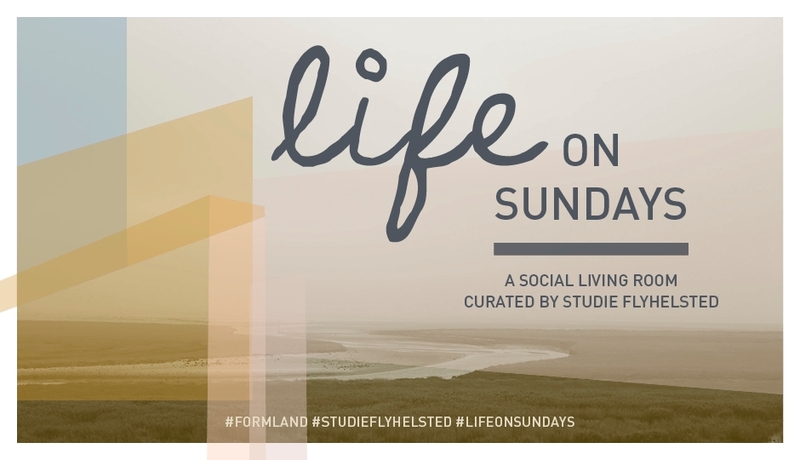 Visitors to Formland Spring 2018 will be inspired to put together products and, as a shop, to work with suppliers to create a strong DNA, says Mille Fly, interior designer at STUDIE FLYHELSTED. Alongside the increased focus on sustainability will be seven interior design halls, a delicatessen hall and a hall filled with flowers and a Scandinavian Christmas theme, all offering a wealth of inspiration for visitors. Regardless of whether you want to learn more about forthcoming trends and colours, or get a glimpse of what we will be eating in 2020, Formland's activities programme is brimming with inspiration. Every day the SPEAK-UP stage in Hall E will be hosting talks from the best in the industry. You can also fill up on tasty and perfectly prepared dishes at Michelin star restaurant Kiin Kiin's blue food truck or find inspiration at the trend café 'TOUCHE MOI', where HØEG + MØLLER have created a sensory universe for sight and touch. Alongside the many well-established exhibitors, visitors can look forward to meeting 60 of Northern Europe's most talented entrepreneurs in the CREATORS COMMUNITY area in Hall E.
If you want to know more about what some of the industry's biggest trendsetters are up to, visit the new SELECTED BY area in front of Hall E. Here 10 known influencers from both at home and abroad will be displaying their hand-picked favourite products, and this is also where you'll find favourites from the world-famous interior blogger and opening address Holly Becker (decor8), Charlotte Ravnholdt (Bo Bedre) and Ulla Johanne Johansson (Mad & Bolig). Formland Spring 2018 will take place from 1-4 February in MCH Messecenter Herning.